So Where *Do* You Begin? B) As little as I can possibly get away with. PCs are meant to be flexible, inexpensive and upgradeable computing machines, so let what you can get be the guide to what you should get; what happens to be available at a good price now. Perhaps memory is really more important than that crazy amazing video card, but if the card is on sale at a great price now, memory can always be upgraded later. Seek bargains, go with the flow. Though bear in mind that by a bargain I mean something that’s cheaper than it usually is, not the kind of part that’s always cheap. Reliability is everything in a computer, so quality is worth paying – or at least waiting – for. Look out for brands with a track record, read all the reviews you can get your hands on. So you could say that the place to start is wherever you’re at. See a bargain? Start! But from another point of view, your real starting point is the motherboard. Virtually everything else slots or plugs into it – as you may guess from the photograph – so more than any other it’s your motherboard that will define what components you’ll be able to use. It’s crucial therefore to have a nice one. But what goes into the choosing? One choice is between the two major makers of processors, the chips that sit at the heart of a computer. Intel you will surely have heard of; AMD perhaps not, though they offer the chip design Goliath some degree of rivalry. Indeed – though l may be lynched for saying this – I suspect their David status may help explain their lasting popularity with system builders. Their image is not so sleek and corporate as Intel’s. AMD have been technology leaders from time to time – producing the first 1 GHz processor, developing the 64-bit architecture that Intel themselves later adopted – but I think Goliath has it all over them just now. Processors have to fit into a socket on the motherboard, the design of which usually changes with the technology. Intel however have just introduced a new generation that are largely compatible with the socket – known as LGA 115 – used by the previous. That means these boards can use processors ranging in price, to go by Dabs.ie, from €35 to almost ten times that much. That is a hell of a range of options. And that means you can get a cheap one now and upgrade at least once, perhaps more, over the lifetime of that motherboard. Which is exactly the route I chose, purchasing a dual core, 2.7 GHz Celeron G555 – a processor that could by no means be described as feeble – for only €50. 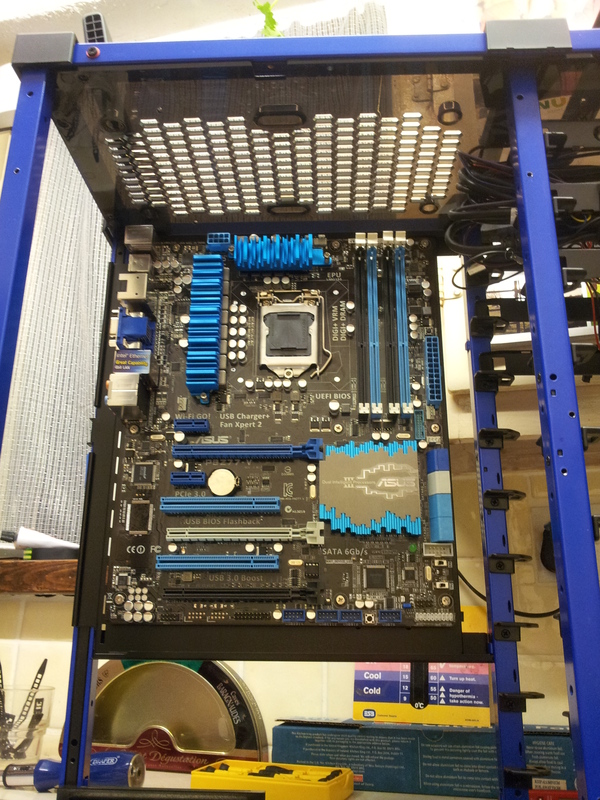 So you may have a particular reason to prefer some other family of processors, but to my mind that LGA 1155 socket is the thing to look out for in a motherboard right now.